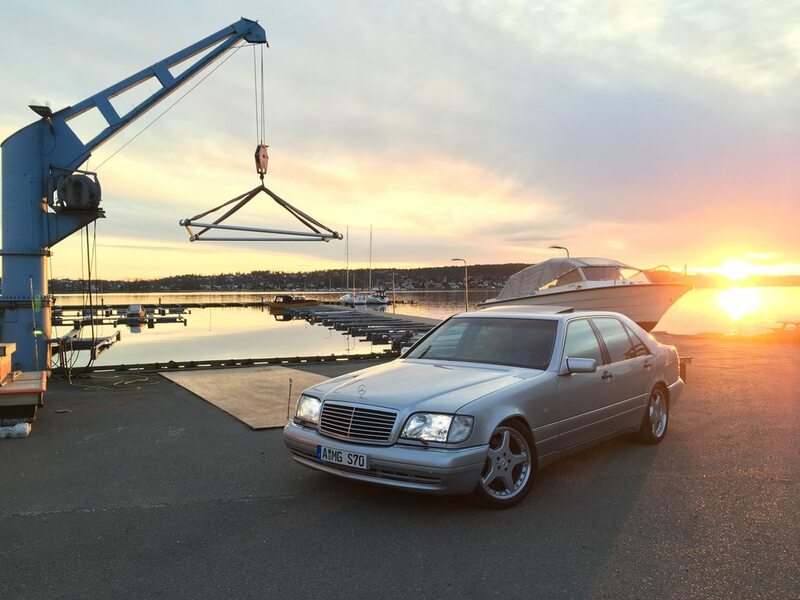 I am selling my very special and mint condition Mercedes S70 AMG. 1 of 18. Asking $69000 firm. The car is located in Norway, Europe. Shipping to US, either closed container or RORO, can be arranged. Yes, a RENNtech car like this is rare for certain, and it seems well kept and authentic. But a 2003+ W220 S600 with an ECU flash to 600HP and some mild mods is $25K all day long at most with less mileage than this car. A stock S65 is $35K-$30K from 2007, and less if 2006. Cars have gotten so powerful these days I just don't see it unless it's a truly collectible car. Who said anything about it being a Renntech? If you value cars in terms of HP, you'll never understand classic cars. Which is fine, but its different strokes for different folks. A 2008 SL550 will outdo my 1968 280SL in every way for half the money as well. Cool car, but if it's not original, 98k miles, engine's been apart, some paint work, and not a US car so who knows if it can be federalized. I think it's going to be a tough sell for half the asking. This is an AMG Japan car, not an Affalterbach car. The Comand screen is going to all be in Japanese. Should have Japanese plates riveted in the door as well.